Our boiler water treatment chemicals are extensively used to make the water chemically safe and ideal for industrial, domestic and household purposes. We complement our activated carbon products with on-site systems and services, as well asreactivation solutions, to help meet your specific needs. Our activated carbon products are also used as colorants, carriers or catalysts in industrial processes, and the pore size distribution is highly important in most applications. Activated carbon, also called activated charcoal, is a form of carbon that has been processed to create millions of tiny pores between the carbon atoms, resulting in a dramatically increased surface area. 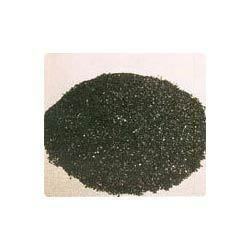 The surface area of activated carbon makes the material suitable for adsorption, a process by which impurities are removed from fluids, vapors or gas. Ideally, the carbon material used should have pore sizes that are larger in size than the material it is trying to adsorb. The removed molecules are held within the carbon’s internal pore structure by Van der Waals forces, electrostatic attraction or chemisorption. The adsorption process helps carbon reduce hazardous gas, activate chemical reactions, and act as a carrier of biomass and chemicals. Ferric Alum, also known as ferric ammonium sulfate (FAS) or iron alum, is a double salt in the class ofalums, which consists of compounds with the general formula AB(SO4)2 · 12 H2O. 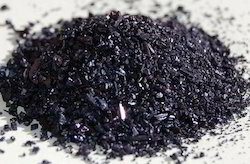 It has the appearance of weakly violet, octahedrical crystals. There has been some discussion regarding the origin of the crystals' colour, with some ascribing it to impurities in the compound, and others claiming it to be a property of the crystal itself. Sodium Bisulfite is a chemical compound with the chemical formula NaHSO3. Sodium bisulfite is a food additive with E number E222. This salt of bisulfite can be prepared by bubbling sulfur dioxide in a solution of sodium carbonate in water. Sodium Hypochlorite is a chemical compound with the formula NaClO. It is composed of a sodium cation (Na+) and a hypochlorite anion (ClO−); it may also be viewed as the sodium salt of hypochlorous acid. It is commonly known as bleach or liquid bleach, is frequently used as a disinfectant or a bleaching agent. We offer the wide range of Chlorine Tablet. 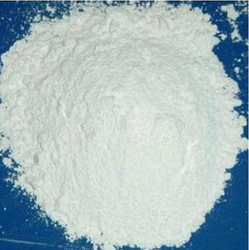 Trichloroisocyanuric acid (TCCA) is a disinfectant, algicide and bactericide mainly for swimming pools and dyestuffs, and is also used as a bleaching agent in the textile industries. Swimming pool water treatment, drink water treatment and algae removing of industrial circulating water. Dishware disinfection; preventative disinfection of houses, hotels and public places; hygiene and disease control in hospitals; environment disinfection in fish, shrimp, silkworm, livestock and poultry feeding places. Textile cleansing and bleaching, wool shrink resistance, paper insect resistance, and rubber chlorination, etc. 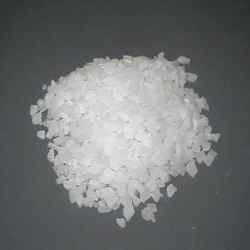 We are the leading manufacturers & exporters of Sodium Chlorite. 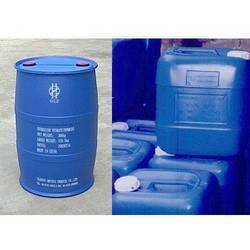 We are one of the leading trader & exporters of Poly Vinyl Alcohol. We are one of the leading trader & exporters of Potassium Permanganate. 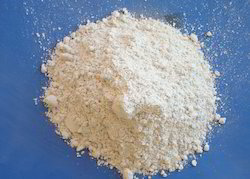 Calcium hydroxide is a white powder produced by mixing calcium oxide ("lime") with water. Calcium hydroxide poisoning occurs when someone swallows this substance. 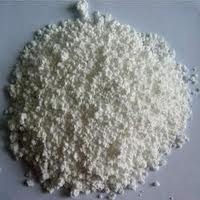 Calcium oxide (CaO), commonly known as quicklime or burnt lime, is a widely used chemical compound. 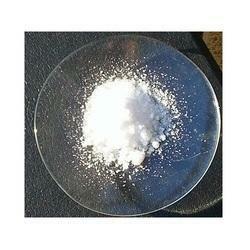 It is a white, caustic, alkalinecrystalline solid at room temperature. 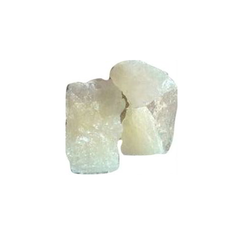 The broadly used term "lime" connotes calcium-containing inorganic materials, which include carbonates, oxides and hydroxides of calcium, silicon, magnesium, aluminium, and iron predominate, such as limestone. By contrast, "quicklime" specifically applies to a single chemical compound. 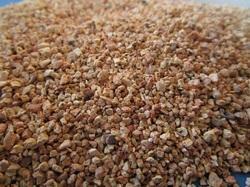 Bulk Density 50 lbs./cu. ft.
AnthraciteCoal Material promotes higher service flow rates and longer filter runs with less head loss than single media filter beds. Backwash rates are reduced as well. Low uniformity coefficient anthracite filter media extends the life of your filter before the media must be changed out. Low uniformity coefficient anthracite typically produces consistent improvements in turbidity removal, due in part to more efficient solids loading. Plus, low uniformity coefficient media produces smaller changes in effluent turbidity during periods of peak influent turbidity. Our anthracite filter media is produced from the highest quality anthracite available to ensure the physical characteristics of hardness, durability and performance. Bulk Density: 50 lbs./cu. ft.
Hydrazine (also called diazane) is an inorganic compound with the formula N2H4. It is a colourless flammable liquid with an ammonia-like odor. Hydrazine is highly toxic and dangerously unstable unless handled in solution. As of 2002, approximately 260,000 tons were manufactured annually. Hydrazine is mainly used as a foaming agent in preparing polymer foams, but significant applications also include its uses as a precursorto polymerization catalysts and pharmaceuticals. Additionally, hydrazine is used in various rocket fuels and to prepare the gas precursors used in air bags. Hydrazine is used within both nuclear and conventional electrical power plant steam cycles to control concentrations of dissolved oxygen in an effort to reduce corrosion. Sodium gluconate is a compound with formula NaC6H11O7. It is the sodium salt of gluconic acid. It has E number E576. 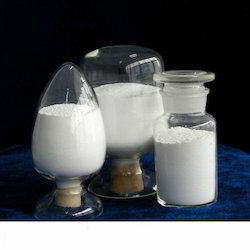 Sodium gluconate is widely used in textile dyeing, printing and metal surface water treatment, chelating agent, steel surface cleaning agent, cleaning agent for glass bottle,chelating agent for cement, plating and alumina dyeing industries. We are availing our clients a wide array of Aluminum Sulphate. Procured from the trusted vendors of the market, these products are processed under hygienic conditions using high-quality ingredients in accordance to international quality standards. Owing to the purity, longer service life and precise composition, these products are highly appreciated and demanded among the customers. Clients can avail these products from us at market reasonable prices. Our organization is supported by a team of experienced professionals, who enables us to bring forth a wide assortment of optimum quality Melamine Powder. The offered range of powder is processed by our reputed vendors using high quality ingredients that are sourced from the reputed vendors of the market. Customers can avail this melamine powder from us in various packaging quantities. 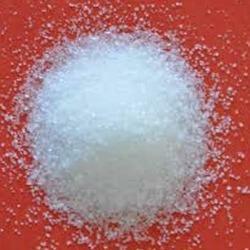 We are one of the leading trader & exporters of Ammonium Bi Fluoride. EDTA has extensively used initialism for the chemical compounds ethylenediaminetetraacetic acid. These colourless, water-soluble solid is widely used to dissolve scale. The usefulness of compound arises because of its role as a chelating agent, i.e. its ability to "sequester" metal ions such as Ca2+ and Fe3+. We can offer EDTA in a variety of grades and compositions based upon the requirement of the clients. Oxygen Tablet is a chemical element with symbol O and atomic number 8. It is a member of the chalcogen group on the periodic table and is a highly reactive non-metal oxidising agent that readily forms oxides with most elements as well as other compounds. By mass, oxygen is the third-most abundant element in the universe, after hydrogen and helium. At standard temperature and pressure, two atoms of the element bind to form dioxygen, a colourless and odourless diatomic gas with the formula O.
Polyelectrolyte is polymers whose repeating units bear an electrolyte group. Polycations and polyanions are polyelectrolytes. These groups dissociate in aqueous solutions (water), making the polymers charged. Polyelectrolyte properties are thus similar to both electrolytes (salts) and polymers (high molecular weight compounds) and are sometimes called polysalts. 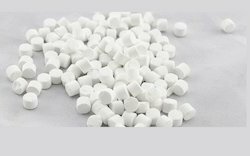 Activated Alumina is one of the major adsorbent/ desiccant used world wide for moisture removal, purification and other treatments. A highly porous form of aluminum oxide, it works both under static and dynamic conditions. 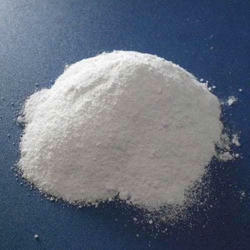 Activated alumina, there are many micro-paths, so the specific surface is large. It can be used as absorbent, desiccant and catalyst carrier. It is also a kind of trace water desiccant and the pole-molecule absorbent, according to the absorbed molecule polarization, the attachment force is strong for water, oxide, acetic acid, alkali etc. It can widely used in the deep drying of cracked gas, ethylene and propylene, hydrogen-generation, air separation, instrument air drying and fluorine treatment for H2O2, also in the absorbing pollution material, such as H2S, SO2, HF and paraffin in the waste gas, especially in the drinking water defluorination. 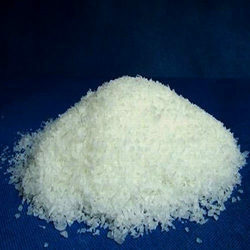 Activated Alumina has infinite shelf life, when stored in packed condition. The active service life would depend, however, on the operating conditions of the plant, Actual application & the usage of the customer. 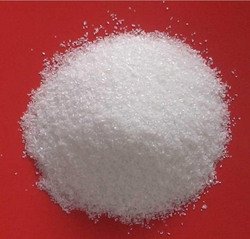 FEATURES : A white or slightly red particle, ball-shaped or roll-shaped, activated alumina is insoluble in water and organic solvent, soluble in strong acids and alkalis, odorless, tasteless and non-toxic. Catalyst for recovering sulfur in the petrochemical industry. Excellent defluorination agent for drinking water and for recycling alkyl-hydrocarbon in alkylbenzene production. Reclaiming agent for de-acidic in transformer oil, and de-arsenic agent in the Acid industry. Adsorbent in the production of hydrogen peroxide solution. Catalyst for polyhydro-ammonia by substituting silica gel with ball-shaped product. 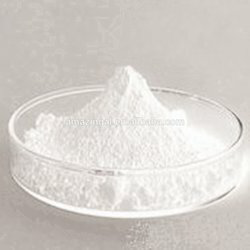 With though knowledge of the industry, we are instrumental in trading and supplying quality range of Oxalic Acid. Offered range of acid is available in compositions and specifications, in order to meet the diverse need of the customers. 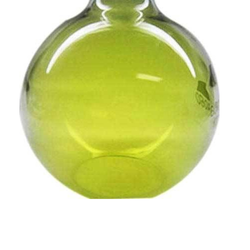 All these acid are formulated as per the established norms and standards of the industry by using high quality ingredients. 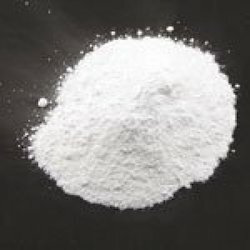 We are instrumental in offering a qualitative range of Sodium Meta Silicate to our honorable patrons. Our reputed vendors process the entire range of chemicals in accordance with the international quality standards & norms. Furthermore, to meet the diverse requirements of our patrons, we offer sodium meta silicate in various packaging capacities. 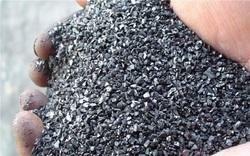 Our valuable customer can avail a wide range of Silicon Carbide. It is the ideal abrasive for grinding / sanding materials of low tensile strength such as Cast Iron, Brass, Aluminum, Bronze etc. Our range of Silicon Carbide are available at industrial leading prices. 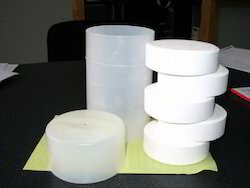 These are used in various industry and vastly demanded by our clients. 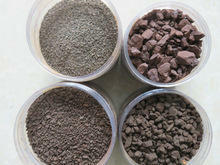 Our assortment of filter Gravel come in a spherical shape. The shape and weight of our pebbles and gravel offer a wonder even distribution through consistent support and flow. Additionally, our outputs display zero content in terms of calcium and a wonderful felicitation in terms of softeners, as they assist in the maintenance of the quality. We have with us highly sophisticated disinfection and sanitation of feed water. Manganese Dioxide is a high rate, granular whole house water filter media used for removing Hydrogen Sulfide, Iron and Manganese compounds from water supplies. The media operates both as a classical filter working with an oxidant and as a catalytic media due to its ability to accelerate the reaction between the oxidizing agent and any prevalent dissolved Oxygen with Sulfide, Iron and Manganese present. Dissolved iron, Manganese and Hydrogen Sulfide will stay in solution unless the equilibrium is changed. Iron and Manganese that is not oxidized become catalytically precipitated and then adsorbed directly on the media. The media is a very dense media that stops oxidized (precipitated) forms of Iron, Manganese and Hydrogen Sulfide from passing through the bed. Most of the Manganese is rapidly removed in the first few inches of the media where it is further oxidized to Manganese Dioxide. The adsorbed Manganese, Iron and precipitated Sulfur are expelled during backwash. Any insoluble ferric hydroxide particulate growths are also expelled during backwash. The media must be properly backwashed to break loose and remove the filtered contaminants and precipitated Iron, Manganese and Hydrogen Sulfide. (Every day is typical). System sizing of the control valve and tank are necessary to sustain media performance. A continuous reaction occurs with the addition of an oxidant, regenerating the media surface and replenishing the media. For difficult applications, Manganese Dioxide filters can be enhanced with aeration, chlorination, and ozone. Manganese Dioxide filters are recommended before softeners to protect the ion exchange resin from fouling. Service flow rate – 6 GPM / cu ft.
Pebbles composed of sub-angular, durable and dense grains of predominately siliceous material. The range of Water Filter Gravel and Support Pebble that we offer, are spherical in shape and allows even distribution in support beds and good flow. Support gravel acts as a support for the filter media and forms the lower levels of the filter bed. Further, for supporting the media, the size needs to be calculated and the correct gradation is required. Water Filter Gravel or the Support Pebble is ideal for filtration as it provides high purity and consistent quality. Aqua pebbles are double washed, kiln dried, screened and classified into various sizes to meet different specifications with strict adherence to quality control. Aqua pebbles used extensively in water filtration (ETP, WTP, STP), water harvesting and bore well. 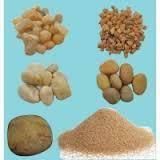 We provide pebbles in different sizes as per buyer's specification. The filter Sand from our line-up has a way of finding occurrence in river washed glacial residues. 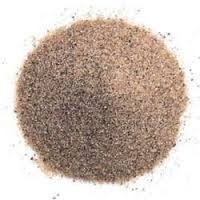 Our filter sand has wonderful chemical properties, such as the presence of large amounts of silica content and calcium, magnesium and iron compounds of very low solubility that makes them very suitable for municipal, industrial, and residential applications. We sell at highly reasonable prices. The product is processed from special Refractory aggregates of high chemical purity, dense consistency, and high refractoriness. It is apposite to sustain technical properties for fluidization at high temperatures up to 1400°C under most critical working conditions. The product is designed with special attention to its very uniqueness and service necessities. 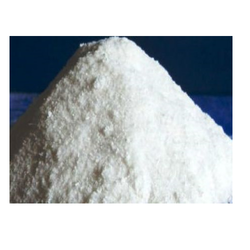 Alpha Olefin Sulfonates,AOS powder,liquid AOS is a third generation surfactant having excellent properties in wetting, blending, emulsification, solubility, good stability at high temperature, and detergency. It has high foaming characteristics, mildness, less resistant to hard water and excellent bio-degradable. AOS 1416 is used for high foaming liquid detergents, high quality sampoo, soap, bubble baths and light-duty liquid detergents. Hydrated Lime is an inorganic compound with the chemical formula Ca(OH)2. It is a colorless crystal or white powder and is obtained when calcium oxide (called lime or quicklime) is mixed, or "slaked" with water. It has many names including calcium hydroxide, builders' lime, slack lime, Choona (word used in India, Pakistan and Afghanistan), cal, or pickling lime. Hydrated Lime is used in many applications, including food preparation. 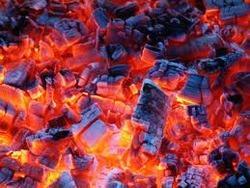 Charcoal is a light black residue consisting of carbon, and any remaining ash, obtained by removing water and other volatile constituents from animaland vegetation substances. 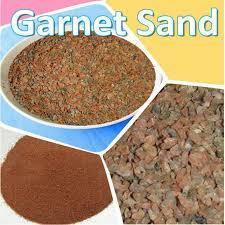 Garnet, with its high density, is heavier than most other filter media. Garnet’s higher density provides stability within your dual media bed, allowing the filter sized garnet to filter down to 10 – 20 micron particulates. Filter sand or anthracite are used effectively as the strata of bed.It provides an excellent support bed for other high density medias. 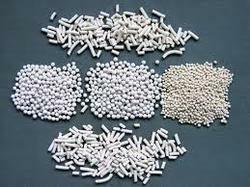 We manufacture high grade Molecular Sieve 3A which does not adsorb any molecule larger than 3A. Our product has high adsorption speed and long life. It is highly useful as a desiccant in chemicals and petrochemicals industries. Dehydration of natural gas or methane. Looking for Boilers Water Treatment Chemicals ?